Your data, your network, your business. Cyber Security that really protects. Your entire computer system and information security are in danger like never before. More than half of organisations of all sizes across the UK have suffered data loss and one in three experience downtime due to a cyber-attack. (Independent Research Company, Opinion Matters, Survey June 2016). WeSeeNow are committed to helping small businesses achieve a level of network security resilience and data protection usually found in corporate business and large organisations. 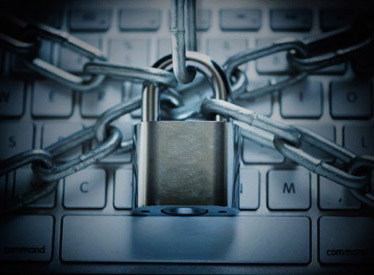 Preventative or remedial action we take today is designed to safeguard your computer system and all its sensitive information tomorrow. From hardware to software or Cloud, our cyber security strategy will protect your business from the constant risk from unauthorised access, misuse, modification, malfunction and disaster. When it comes to back-ups we’ve got your back. Looking at your potential disaster scenarios. Failing to plan is like planning to fail. IT disaster and data loss can cause damage to your business, even in the short term, from reduced or no company productivity to issues affecting current or potential clients. You could also suffer a permanent recovery failure if there is no clear, and up to date backup and disaster plan in place. To do nothing or to “wait and see” is no longer an option. Your entire operational and information system could be at serious risk if you rely and sit back on outdated solutions. These may no longer provide the level of security and protection needed now. Our team of experienced IT experts believe that a disaster recovery plan should not be unnecessarily complex even though many important factors must be taken into account. We always start by looking at the impact of specific disaster scenarios and designing cost effective options to avoid or mitigate loss. Working closely together with our clients, we build a bespoke IT business continuity plan underpinned by our range of cloud based backup and disaster recovery platforms. The maximum length of time tolerated for a computer, system, network, or application to be down after a failure or disaster occurs. The time period requires careful evaluation as it can vary greatly from business to business or even between departments and staff members. The age of all files which must be recovered from backup storage for normal operations to resume. The RPO simply goes back in time to the exact instant at which the failure occurred, which is precisely determined in seconds, minutes, hours, or days. Most companies and organisations operate some form of system and file back-up procedure in the event of data loss due to a hard drive failure. Unfortunately, a smooth recovery is not necessarily guaranteed if disaster strikes. The claim that encrypted data is ultra secure may not reveal that the files are often only protected by encryption when copied via SSL (Secure Sockets Layer), the standard security technology for establishing an encrypted link between a web server and a browser. While the data is only accessible by the hosting company, it is not encrypted when held in storage and could be forcibly obtained by a remote attack. WeSeeNow keeps your sensitive data safe and secure and your business one step ahead. Our knowledge of the latest capabilities and limitations of back-up and storage technology can provide you with full guidance on your specific needs to ensure you are protected with a comprehensive backup and recovery testing strategy. Systems to run backups more frequently. Boot servers directly from an onsite appliance or the cloud – reducing recovering time. Currently, there are nearly 600 million malware infections identified by security researchers, a five-fold increase in five years, which is expected to soon top 1 billion, worldwide. (Independent IT-Security Institute, 2017). Most companies and organisations whatever their size, use some form of antivrus as standard. Unfortunately, not all products are equal to defending against the ever increasing variety of virus attacks. Our experienced WeSeeNow team will carefully assess your individual system needs and specify the correct and appropriate set of solutions and procedures, which will maximise protection of your company and its sensitive data. A virus is basically malware, which can only be spread through human interaction. The malicious lines of code enter a file or computer operating system via an executable file but will only be activated when the user opens the infected programme. A virus can be easily and unknowingly spread via link sharing among a potentially endless number of machines lacking adequate anti-virus security software. Trojan malware has the ability to hide itself within a normal file, much like the infamous Trojan horse. When a Trojan is activated, the invisible hacker is able to secretly gather information about a computer user’s operations or create a ‘backdoor’ to allow cyber criminals access. One of the most well-known of cyber crimes is to add the computer to a huge network of infected ‘slave’ machines, known as botnets, for conducting DDoS attacks. Worms are a particularly insidious form of malware. They can spread between systems without the need for human intervention by using a computer’s in-built data transfer capabilities. A worm can also copy itself to spread to as many machines as possible via email and other digital communication platforms. WeSeeNow will ensure you are made fully aware of how the different types of malware operate. By remaining vigilant and always suspicious of any unusual activity you will ensure your computer network continues to be immune to the deadly infections. See us as Doctors for your IT. 54 per cent of UK companies were hit by Ransomware attacks in 2016, according to a Malwarebytes survey, which also found that more than 60 per cent of those surveyed took more than 9 hours to remediate the impact of an attack. The malware will encrypt the files of an unprotected machine or device and demand a fee within a specified time frame to provide the decryption key. Failure to pay results in the loss of the encrypted files forever. The hard reality is that at some point your system is certain to be affected. WeSeeNow has the specialist knowledge to help you properly prepare in advance. Ransomware rapidly spreads like wildfire between users, and across multiple machines and networks. More than a quarter of those affected will lose files because they did not pay. Even if you do pay up in most cases you will never see your data again! One in three of UK companies lost files after refusing to pay. WeSeeNow ensures your critical data is security-managed by deploying automatic, continuous endpoint backup on every machine in your network. Infected devices can then be restored with more certainty to where they were moments before their files were encrypted, requiring less time and effort. You can be up and running on the same day. With your permission, our ethical hacking experts will unleash a whole host of hacking and computer attack techniques to uncover security flaws, with the goal of improving your overall security. Our penetration testing service focuses on finding vulnerabilities in particular target environments belonging to our clients and forms part of our ethical hacking service. We frequently deal with the process of finding flaws in websites and web applications with the goal of compromising their back and taking control of them and their valuable data, as part of the penetration tests. The good news is, once we have uncovered any holes in security, we can help you plug the gaps before the cyber hoodies get the chance to wreak havoc. Need some advice from our Cyber team? Fill out the form and we’ll get straight back to you.